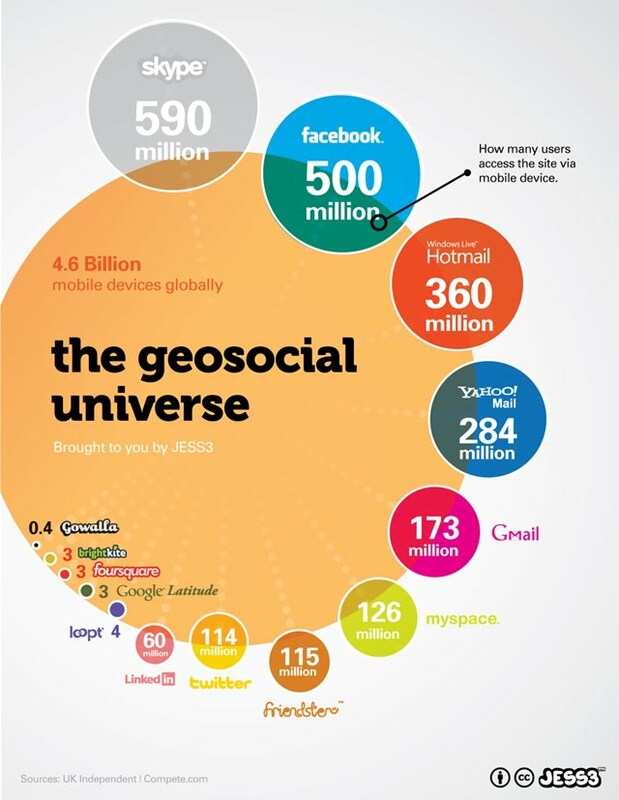 Brandflakes points us to this graphic showing how users of social-media tools are migrating to mobile. The graphic is slightly confusing — the overlap between the outer circle and inner one represents the share of mobile users in each category, with Facebook logging in at about 40% — but you get the drift. Mobile brings enormous challenges to the advertising industry since its small-screen formats limit ad inventory, users tend to be focused on a sharing/sending modality and not passive consumption, and achieving scale across the fragmented universe of handset formats and smartphone apps is a real pain. Think of the graphic above as a looming advertising crunch, with the inner circle eclipsing the old media consumption of yore. Solution? Get testing in the mobile space, marketers — it is not going away.